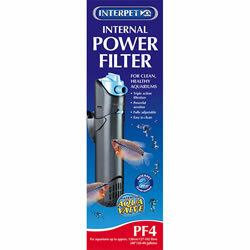 The Interpet PF4 Internal Filter is suitable for aquariums up to 182 litres. 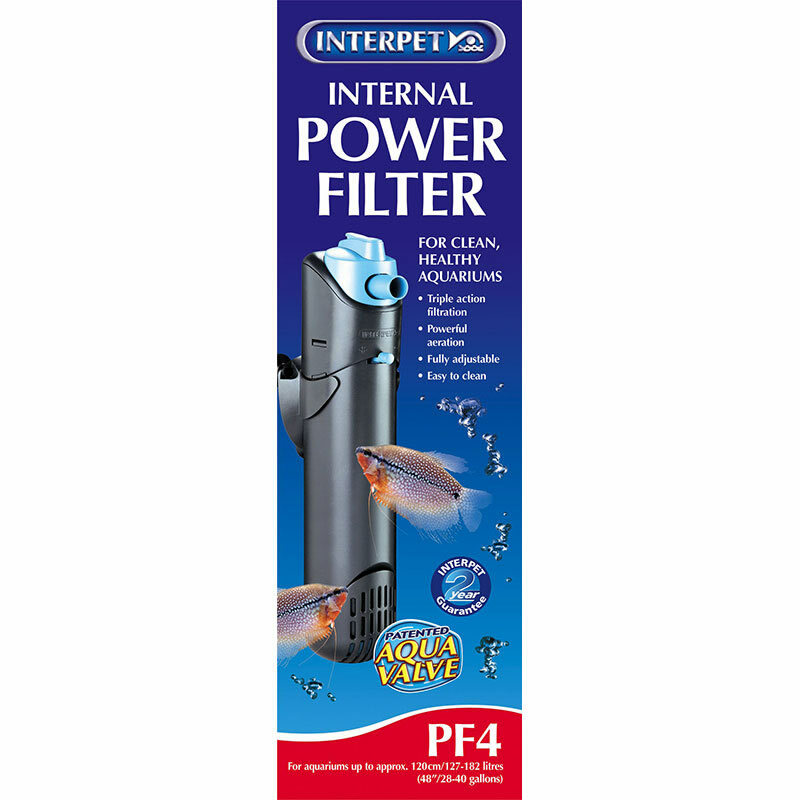 The Interpet Internal Power Filter range comprises of 5 models designed to suit aquariums from 5-182 litres. The Interpet PF Filtration system represents one of the most versatile, comprehensive and easy-to-use filters available. With its unique easily located cradle the filters are simple to fit and its triple action filter will keep your aquarium clean. The PF range provide better aeration with its rocker switch controlled powerful venturi and coupled with improved maintenance due to its easy clean filter cartridge. The Patented Aqua valve allows waste materials to pass into the filter, whilst at the same time preventing them from dumping back into the aquarium. Therefore unlike other filters the PF filter range allows you to simply turn off the filter and remove the body for cleaning without seeing the removed waste drop back into the aquarium.